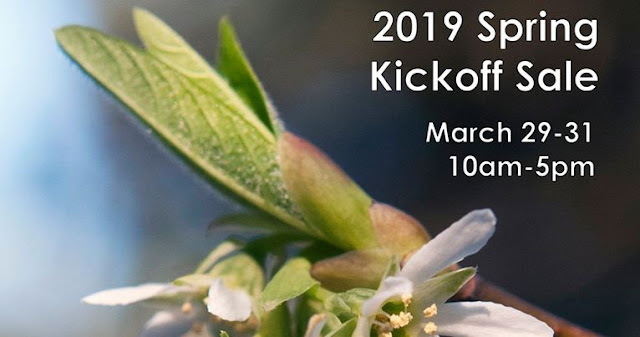 It's MsK Rare Plant Nursery's annual kickoff sale to get the season rolling. We'll have fresh stock on the tables, treasures from the propagation area, and some spring ephemerals to share. This year they will have offerings from our friends at Windcliff, Far Reaches Farm, Sundquist, Tadpole Haven, Xera, and T/L Nursery. So many plants! Members receive 15% off all regular priced items. All proceeds go towards the the care and maintenance of the garden. In partnership with the Seattle Audubon Society, some horticultural treasures from the estate of Ken Slaven will also be made available to the public for purchase. All the proceeds from the sale of these plants will be split between the two organizations. We're proud to be part of this effort and the time spent together working to preserve this man's passion for the natural world and for his devotion to horticulture.